This fun program integrates yoga and mindfulness through music, cooperative games, breath-work and relaxation in a safe space for connection and play. Each class is a different theme where our adventures bring yoga poses to life! Yoga, mindfulness, breathing, relaxation and more! 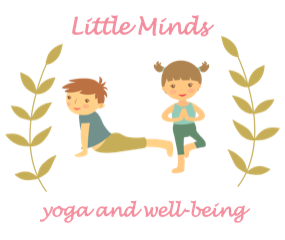 Little Minds Yoga has some mats, but if you have a mat for your child, please bring it along. Children are encouraged to wear comfortable clothes. We ask that parents do stay in the Youth Department with their child during the program. For more information on the program, please read this Little Minds Parent Welcome Letter.